Available Exclusively at Only In Rhode Island! These hand-screened Christmas stockings are designed and created locally and will guarantee a holly jolly Christmas for anyone lucky enough to hang them by the chimney! Measures 13.5" High X 7" at the top X 9"across the toe. 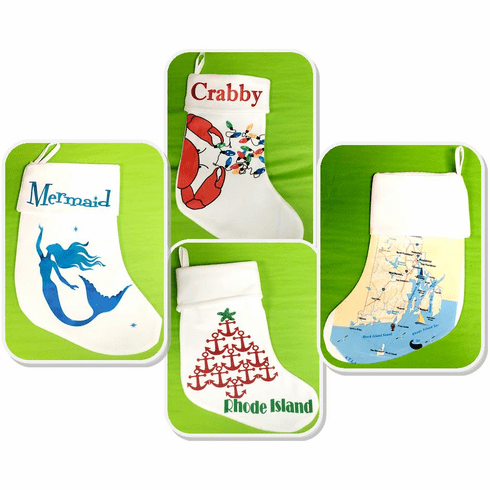 Made of sturdy cotton-poly blend, each stocking is lined. Copyright 2019 Only In Rhode Island LLC. All rights reserved.